Codebymath.com - Online coding lessons that teach you about math. We've developed some software that allows you to use an Arduino, directly from this website. This allows us to develop mathematical and coding lessons in the context of the Arduino, hardware control, sensors, and basic electronics. To try these lessons yourself, follow these steps. You'll need some electronic parts, that you can purchase yourself here here. Download this software and compile/upload it into your Arduino, using the standard Arduino development software. 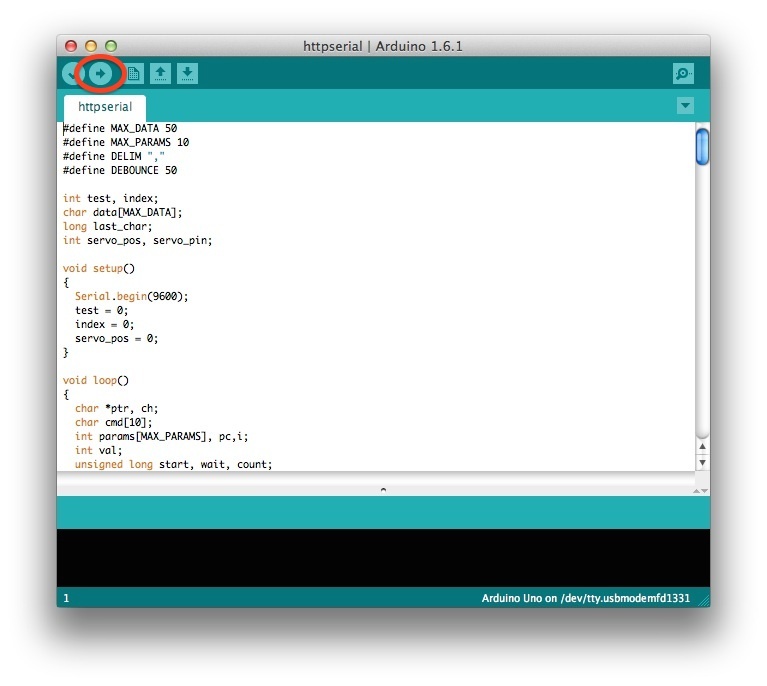 This software causes your Arduino to sit and listen for instructions from your computer. When done, quit/exit the Arduino development software. Download our software called "httpserial." and run it on your computer. This software forms a "bridge" between your web browser and the USB/serial port which is connected to the Arduino. 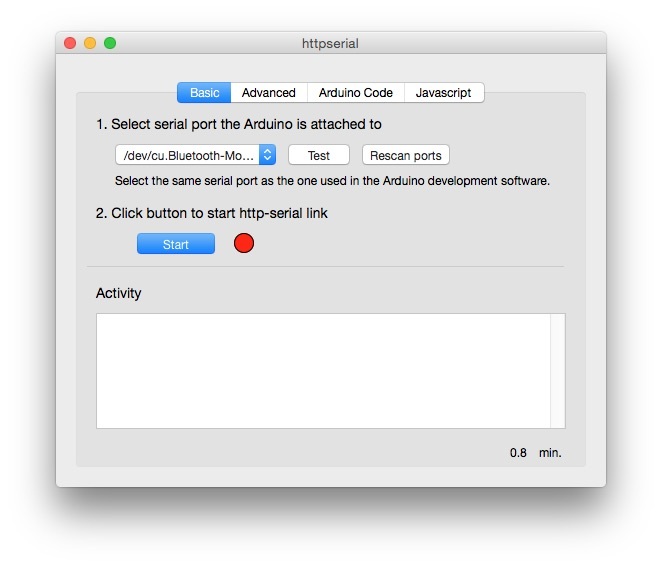 When you first run this software, select the serial port to which the Arduino is connected. This will be the same serial port you select when using the Arduino development software. Press the "Test" button a few times. If the connection is working, you should see "From Arduino: Hello" in the "Activity" box. Next, click the "Start" button. Leave the software open and running, and return to your web browser. You are now ready to do the Arduino-based lessons.